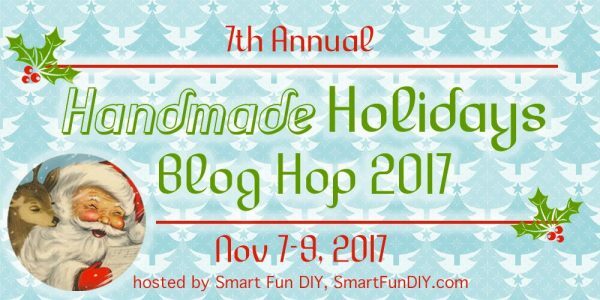 Welcome to Day 3 of the Handmade Holidays Blog Hop. Today we’re sharing some of our favorite holiday recipes. My recipe isn’t exactly a holiday tradition but it is one that I make often in November and December. It’s so easy to make a pot of this black eyed pea soup, even on a weeknight, and have leftovers for lunch the next day. I told you about my past hatred of black-eyed peas back when I shared my black-eyed pea salsa recipe with you. It’s funny how much my taste buds have changed. 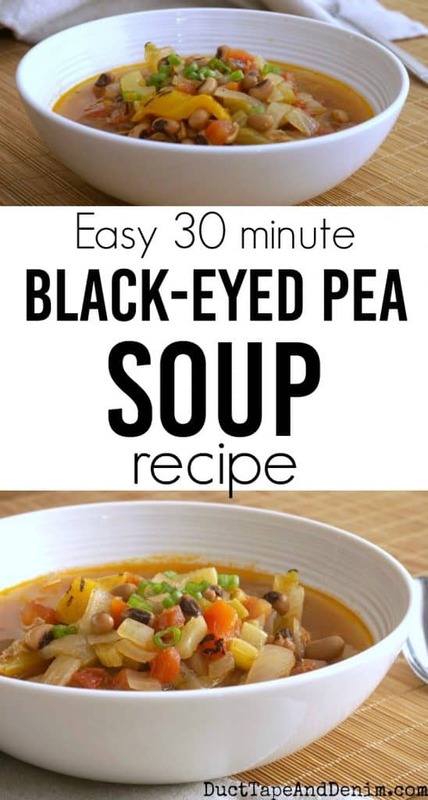 Black eyed pea soup is now one of my favorites! And I can have it on the table in about 30 minutes! Saute bacon until lightly browned. Add onion and garlic, saute until transparent. Add remainder of ingredients, except cheese and green onion. Bring to a boil, reduce heat, and simmer 30 minutes. Serve with cheese and green onion. You could also cook fresh or dried black eyed peas but then it wouldn’t be a 30 minute recipe! And don’t forget to enter our giveaway. Thanks for reading! Let me know your favorite soup in the comments! I love black-eyed peas! Thanks for sharing at the What’s for Dinner party! Love this . I am going to make it soon . This would be perfect in a cold day like today! Thanks for sharing your recipe with us on weeks Creative K Kids’ Tasty Tuesday – I can’t wait to see what you link up next week! One good thing about this time of the year when its rainy and dreary is that you can make lots of soups. 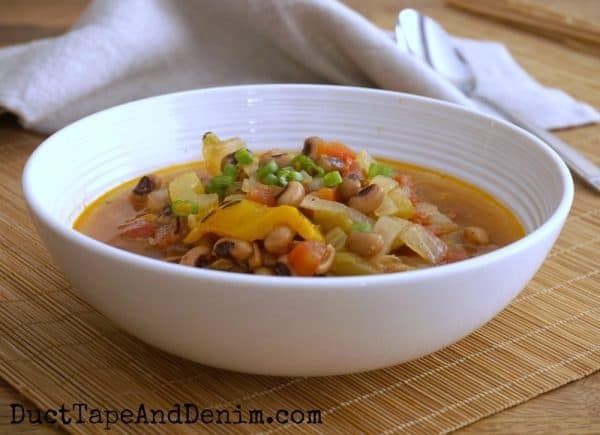 Never made a black eyed pea soup – sure has lots of good ingredients. Thanks for bringing your soup to Fiesta Friday. We love our Black Eyed Peas and this will be a great recipe to try! Wishing you a bountiful Thanksgiving and thanks so much for sharing with us at Full Plate Thursday. Perfect meal to bring good luck in 2018! Thank you for bringing it to FF. Your post is featured on The Thanksgiving Edition of Full Plate Thursday! Thanks so much for sharing with us, enjoy your new Red Plate and come back soon!